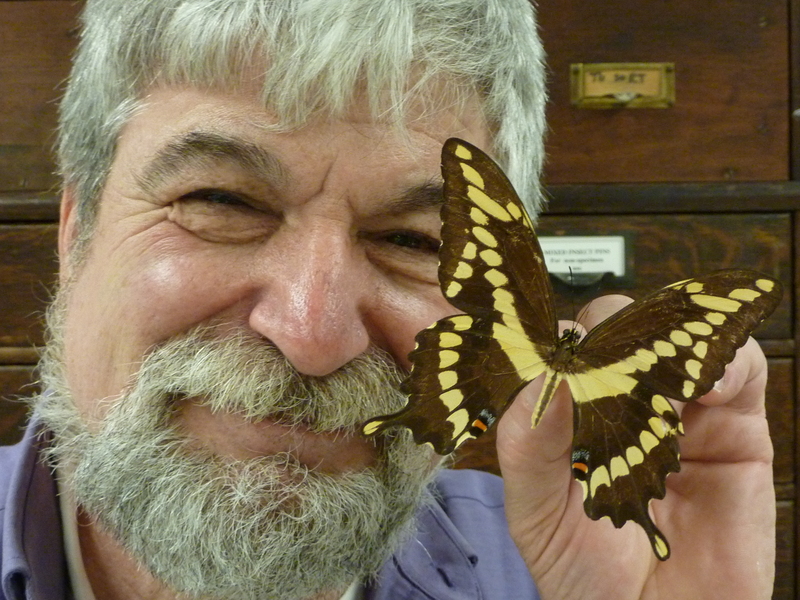 The Cheshire Public Library, 104 Main Street, presents Butterflies in My Backyard, a lecture and picture presentation by noted lepidopterist and Yale Peabody Museum of Natural History research affiliate, Victor DeMasi. Mr. DeMasi will take the audience on a virtual sunny day walk through his butterfly meadow in Redding, Connecticut. He will feature both rare and common butterfly species that he has seen in the 40 years that he's tended his property. DeMasi will explain life histories of some of our local species and describe how a butterfly garden promotes a diversity of Aurelian beauties. His comments will include a discussion of butterflies in our changing environment with a focus on climate change and invasive species. Those interested in Monarchs and Tiger Swallowtails will appreciate his emphasis on these two butterflies. There will be ample time for questions from the audience. In addition to the informative lecture and colorful slideshow, DeMasi will share an impressive display of specimens from the Yale Peabody Museum of Natural History. Victor DeMasi busies himself with preserving open space in Redding and preserving butterflies in the museum. His field work with butterflies contributed almost a thousand citations to the recently published Connecticut Butterfly Atlas. He has contributed articles to scientific publications and his mark-recapture studies with Swallowtail butterflies was recently cited in the book, Swallowtails of the Americas. This event is co-sponsored by the Cheshire Planning Department and Cheshire Public Library and funded by the Friends of the Cheshire Public Library. Please register online or call 203-272-2245, x4.